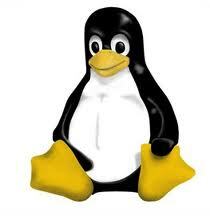 Latest stable version Linux Kernel 3.9 raring has been released on April 29, 2013. Ubuntu and Debian users can directly download the debian version from kernel.ubuntu.com. If you like to compile the latest Linux Kernel in Ubuntu Click Here. You can also download the previous stable kernel 3.0 / 3.1 / 3.2 / 3.3 / 3.4.6 / 3.5 / 3.7 from kernel.ubuntu.com and follow the same steps to install it. Use “dpkg -i kernel-name” and just change the kernel name to latest kernel version. If you are using 32-bit version then download the following packages. If you are using 64-bit version then download the following packages. Open a terminal and move to the directory where you have downloaded the kernel packages. If the files are in /Downloads directory then run the following command. 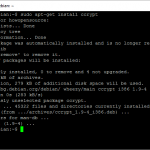 Then use dpkg command to install the packages, for example here I have explained how-to’s for 32-bit versions. Run the following commands one by one and type the password for the user, when prompted. If you are facing any warnings or error while installing then try installing module-init-tools 3.13 first, and try again now it should work. Restart your system now by default it will boot kernel 3.9 raring, you will be able to see while booting. 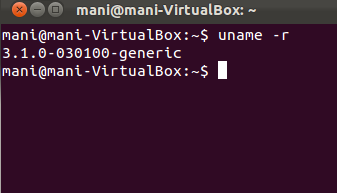 To check after booting open a terminal and type “uname -r“. Check the screen shot below. Hope this will be helpful for you!!! Hi, you should note that the high power consumption is due to the way the kernel has been coded. To utilize less power and produce the same performance, the whole paradigm has to be changed. This was expected with the release of kernel 3, unfortunately kernel 3 draws more power than the earlier 2.6.x version. We cannot expect them to adapt atleast till their next major release. When I installed Ubuntu 11.04 I wished my laptop to be as cooler as windows 7 and moreover provide enough gpu to play games. Two solutions existed 2.6.28 kernel (for low power) and 3 kernel for graphics performance. I was suspicious to upgrade to 11.10 due to those problems. With above settings(specially disabling amd, and setting rc6) my laptop is more happier than it could ever be. Intel graphics drivers performance beats that of windows 7(since I don’t use it anymore, don’t know how the update will perform) and the laptop is always cooler when I am not running games. Even firefox, unity-3D, music, liferea at once does not suddenly wake up the processor. I am a proud owner of Ubuntu 11.10 laptop. I hope 3.1 kernel will not bring any of those problems back, because they were the problems which could be easily solved by applying certain settings. i’ve install Linux Kernel 3.1-rc10-oneiric on my Toshiba Satellite A-200 laptop. but after the installation, the computer fails during booting. is there any solution for this problem? 3.1-rc10 is not the stable release, try to boot with other kernel which you have used before installing 3.1rc. And uninstall the 3.1rc kernel packages. I’m got error while installing headers. NVIDIA drivers could not be compiled for this kernel. Disable the NVIDIA driver and try to install it again. is it ok to install a “precise” (ubuntu 12.04) kernel on oneiric (11.10)? 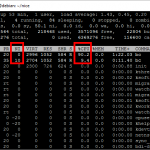 and do you know why the ppa:kernel-ppa/ppa is empty even if all kernels are at http://kernel.ubuntu.com/~kernel-ppa/mainline/? Yeah its okay to install precise but this is a pre-compiled version may be some the drivers wont match. No need to follow these steps. Then dpkg will take care that things are installed in the right order. Note: make sure that there’s no other stuff in the same folder that satifies the wildcard declaration! I run Ubuntu 10.04 on a 64 bit machine. I followed your blog but got a lot of errors and warning. So tried installing module-init-tools 3.13. But I got an error Error: Dependency is not satisfiable: dpkg (>= 1.15.7.2). I even tried upgrading dpkg but that still does not work. I downloaded the source for init-tools module but don’t know how to compile and build from it. So please help me out. I am stuck at the same point with the same config. Did you solve it? Anyone else? can upgrade kubuntu 11.10 to new kernel v3.3-rc5 ? If I upgrade to 3.2 will my laptop save more battery with amd 64 bit CPU and radeon GPU??? Thanks a lot for this post. very helpfull . Excellent instructions. I am using kernel 3.5 now on my Asus eee pc with Ubuntu 12.04. No problems at all and it seems to run faster now.Works fine with Gnome Shell. I have heard though kernel 3.5 doesn’t like Cinnamon Linux so if you use that you might want to wait until the latest Cinnamon comes out with kernel 3.5. I followed the above steps to install linux 3.5 kernel on my ubuntu 12.04 64-bit laptop. But after installing it, ubuntu no longer loads GUI. It just opens the command line. I tried to use “startx” but with no success. I think it may be the problem with my graphic card as I as using proprietary amd drivers on my laptop before. Can u suggest a solution for it? I apparently need to get a new kernel because ubuntu 11.10 crashes all the time. Or maybe it is 11.04. I do not remember or know how to clarify. Anyway I got the 32 bit packages above but am having problems coaxing the terminal into following the instructions laid out. “$ sudo dpkg -i linux-headers 3.5.0-030500_3.5.0-030500.201207211835_all.deb” which I opened in a thing i got after typing “dpkg–help” in the terminal folder. In addition, I also downloaded “module-init-tools 3.13″ which I cannot make do anything useful. I do not know what to do next and my computer is a ticking time bomb crashing every time that I turn it on. How do I resolve this problem satisfactorily? Please consider using correct grammar, at least for publishing. I am glad to know that my article was helpful. Keep visiting my page for updates and suggestion. Thanks for heads up about the grammar mistake, will take care of it. Thank You wery much!!! My notebook failed at booting up when I had an external display connected because of failing at batery check. But this upgrade helped me (Ubuntu 12.04 kernel 3.2 -> 3.5).